HIT BARGAIN is a four-piece punk band from Los Angeles. Their new full-length Potential Maximizer is being released by Buzz Records in Toronto, which coincides with an east coast tour for the band through June. They self-describe their hard-nosed sound as “queencore,” leaving it difficult to settle on any other descriptors once you’re exposed to their heavy sound paired with Nora Singh‘s thoughts. This group delivers their battered brand of punk rock with no strings attached. It’s better that way since they’re only going to leave you bruised and beaten up in an alleyway at some point anyway. There are moments of Potential Maximizer that bring Neighborhood Brat’s debut on Deranged Records to mind, or a handful of albums from the Dirtnap Records catalog. “Capitulate” is the no-brainer of album highs, built with scaly buzzes and discordant guitar twangs scattered throughout. Singh is there to introduce us to Hit Bargain’s version of hell over the electrified guitar hookage, with an abundance of reminders to “stop resisting.” “Knavs” comes with a slightly lightened tone compared to many moments from the album. Guitars are wired and melodic at a medium pace, backed by precise drumming patterns and a grumbling bass line. “Tourist of My Desire” transitions cleanly into “Tourist II;” they both take on this twitchy, post-punk inflected angle. Guitars squeal while bass chords hum and glide smoothly under the explosive energy. Singh complains that “it’s all the same/ like a new face on an old problem.” They break is down in the third minute, catapulting the song to sinister new heights, just when we were thinking it couldn’t get any more out of control. The results warrant a handful of extra listens for maximum satisfaction. They are at it again in “Untying a Knot.” The song comes with their urgent and catastrophic approach, suddenly changing gears with this spring-loaded bass line that gives way to lightning-like guitar strikes. Their approach is focused and streamlined without deviation, which is a muscle they flex well… and they flex it often. Hit Bargain tosses in their exhilarating twists when you least expect them, dropping an album of rock-solid and pissed off anthems that will bring your blood to a violent boil. Get down and dirty with “Capitulate” below – the louder you listen the better! 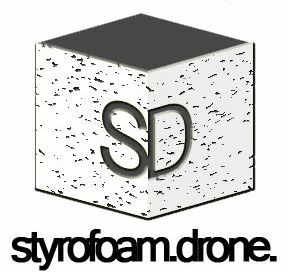 Posted on July 30, 2018 July 26, 2018 by styrofoamdronePosted in LP, ReviewsTagged alternative, punk.